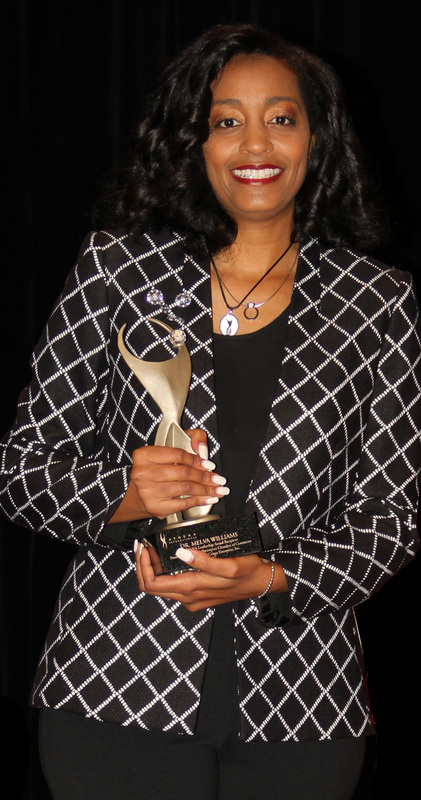 The Greater Shreveport Chamber of Commerce Business Development Connection honored Melva Williams, Ph.D Thursday as the 2017 ATHENA Leadership Award recipient. Dr. Melva Williams is the Vice Chancellor for Student Affairs and Enrollment Management at Southern University at Shreveport, formerly Associate Dean of the College at Centenary, and has a television show, the Hot Seat with Melva Williams. Dr. Williams is very active in state and national service and has received numerous commendations commemorating her dedication. She is an alumna of Leadership Louisiana, 40 under 40, and was previously named Top Professional of the Year by the Greater Shreveport Chamber of Commerce. Most notably, Dr. Williams was selected in 2016 to participate in the Presidential Leadership Scholars program that develops national service projects with three (3) former American Presidents (President George H.W. Bush, President William J. Clinton and President George W. Bush). Dr. Williams is a current board member of the Robinson Film Center, Caddo Council on Aging, YWCA, Board President for Extensions of Excellence, founding member of the Higher Education Leadership Foundation and Vice President of the Shreveport Charter Foundation that built the first new school, in Caddo Parish in over 30 years, Magnolia School of Excellence. For more than 25 years, the Greater Shreveport Chamber has awarded the International ATHENA Leadership Award to a woman or man, to honor their attainment of the highest level of professional excellence by showing creativity and initiative in their business or profession; to showcase their devotion, time and energy to improve the quality of life for others in the community in a meaningful way; and to demonstrate how they have opened doors for other women to achieve their full potential. Dr. Williams was selected from amongst 16 accomplished honorees including: Dr. Andrea Master Everson, Melissa Flores, Audrey Reed Flournoy, Catherine Paine Foret, DVM, Tracy L. Futch, Marianne McConathy Nelson, Sandra Partain, Rebecca S. Payton, F. Carole Pruett, LCSW, LMFT, Holly D. Sanders, Noma Fowler-Sandlin, Kesha Matrice Simmons, Brandy Canatella Thompson, Carolyn Ann Tillman, Lisa Marie Willard, and Dr. Melva Williams.